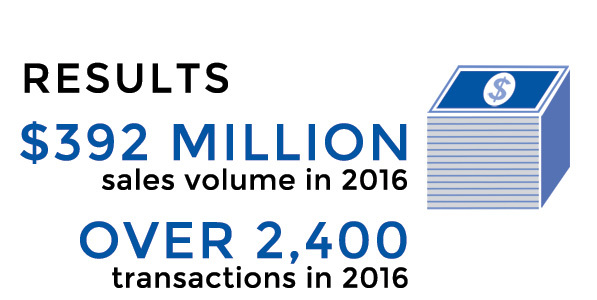 RE/MAX has held number one market share in the U.S. and Canada since at least 1999, as measured by total residential transaction sides completed by its agents. RE/MAX has more than 100,000 agents in over 100 countries and territories, a greater worldwide footprint than any other real estate brand. RE/MAX agents have raised more than $147 million to Children’s Miracle Network Hospitals since 1992, and RE/MAX is one of the top three donors of all time. On average, RE/MAX agents outsell those from other national real estate franchises in comparisons of the largest real estate brokerages, most recently in the 2016 REAL Trends 500 report. RE/MAX leaders are frequently invited to talk about real estate issues in the news media and on national TV news programs. Dave Liniger is a recurrent, well- respected keynote speaker at a variety of industry events.